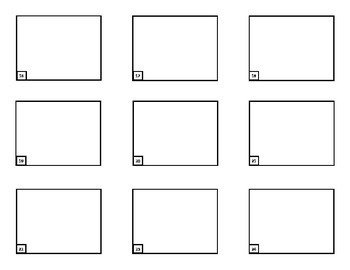 The great storyteller Walt Disney and his animators used storyboards to lay out films prior to getting started. 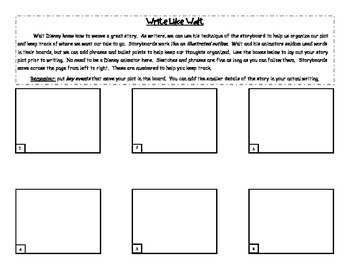 Students can use the same principal before writing a longer work. 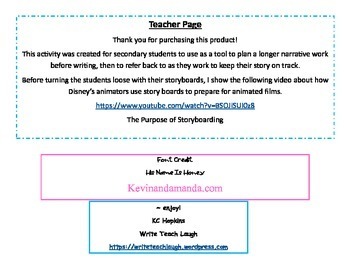 Also included on the teacher page is a link to a video about Walt and his animators using the storyboard process as a way to lay the foundation for using this product. There are 3 pages with a total of 24 board panels numbered to help students stay on track.